ZenLogic Review 2019: Is ZenLogic a Good Hosting? 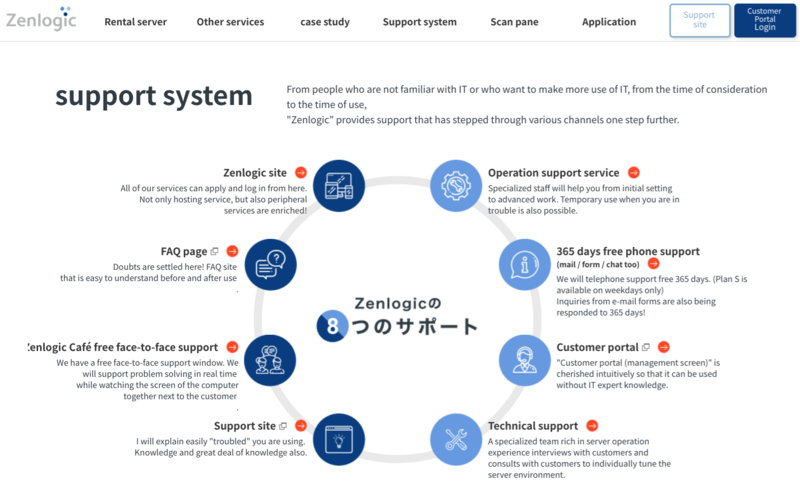 Zenlogic’s zany website sells dedicated server rentals to Japanese SMEs. You’ll pay a premium price for a plethora of features. 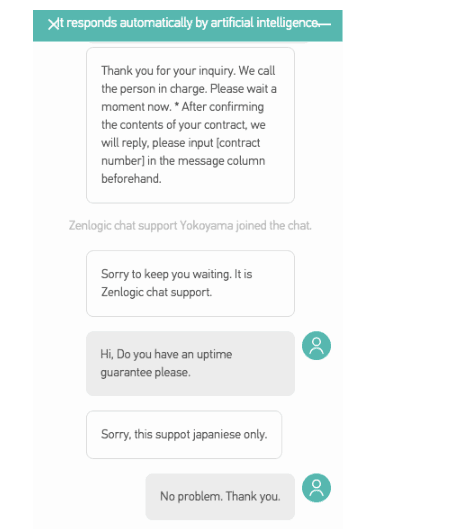 Server rental provider Zenlogic’s history is as confusing as its stereotypically Japanese jumbled website, but it goes something like this: Zenlogic was formed in 2015 as part of Japanese company First Server, which become a subsidiary of the giant Softbank Group in 2018. You’ll find all three companies mentioned on the zany Zenlogic website that is available only in Japanese. For ease of use, the servers come compatible with popular CMS programs such as WordPress, EC-CUBE, and Movable Type. Although Zenlogic doesn’t offer a website building tool, the Zenlogic Website Creation Service will build your website homepage with a total of ten revisions for a fee. All plans come with FTP and SFTP access, Cron jobs, and PHP (versions 5.x and 7.x). You also get the usual MySQL and PostgreSQL databases with phpMyAdmin and phpPgAdmin. Unusually, you can choose how redundant you would like your server to be, by purchasing a standby server alongside your production server, with automatic synchronization and failover to minimize the downtime. To deliver your website content more effectively (i.e., faster) to your visitors, you can get a free CDN as an optional extra. Zenlogic’s plans are expensive, even if there is no setup fee and you do get a free Let’s Encrypt SSL certificate. You can choose between monthly or annual billing, with a 10% discount for an annual commitment, but you do need to pay for a domain name on top. There is no money-back guarantee, so you need to be sure about signing up, but the 14-day free trial does allow you to try before you buy. Customer support is comprehensive. The “Support System” section of the website suggests various ways to contact the team 24/7 via telephone, ticket, live chat, or email. You can even get face-to-face video support. My only concern as an English-speaking customer is that support is only provided in Japanese. I discovered this when I initiated a live chat that got answered immediately if only to tell me I couldn’t be assisted in English. As well as a variety of support channels, Zenlogic’s support includes a multitude of manuals and tutorials to help you to help yourself. There may be even more resources behind the support portal login page. Zenlogic’s server plans are feature-packed but premium-priced. If you can navigate the overwhelming website, you might find the perfect plan for you. Wondering how ZenLogic stacks up against other Web Hosting companies? Enter any other Web Hosting company and we will give you a side-by-side comparison.